Contrary to what you might think (because of my massive obsession with all things fabricky), I also knit now and again. I tend to make small things, because I am too mean to spend a fortune on yarn and also because I am a pretty slow knitter. I have strong memories of my mother knitting the same sweater for about 12 years (I kid you not). It started off being for my eldest sister, then my middle sister, and finally me. It eventually got thrown away in disgust (still unfinished) when I was about ten sizes too big for it. So, yes, I knit hats and scarves and baby clothes and socks. And right now I am knitting a clapotis, which sounds like it should be some kind of venereal disease but is actually much more pleasant. Or so I believe. Ahem. 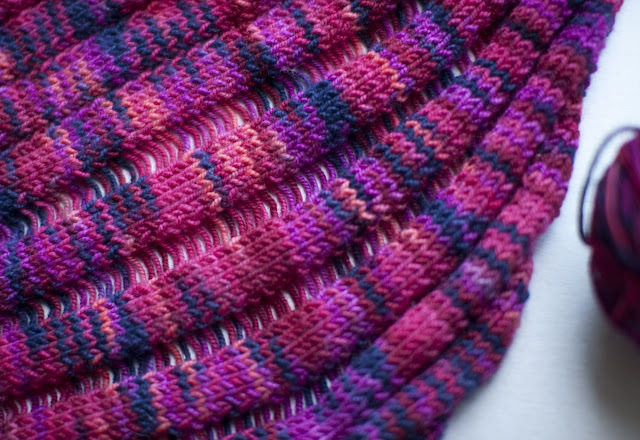 Even though this is my third time making this pattern I am still amazed every time the deliberately dropped stitches become gorgeous, intentional ladders, completely unlike the disaster that normally comes with dropping a stitch. 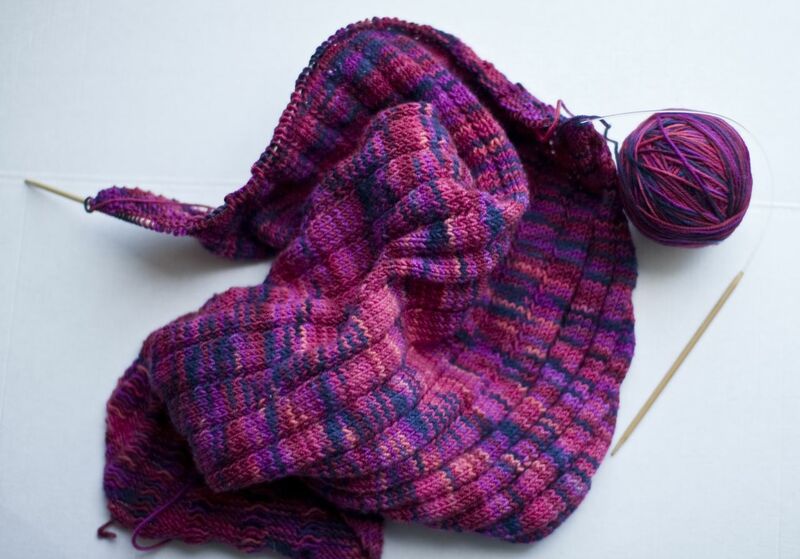 It’s a pretty big scarf and is taking a while to knit up, but I am hoping to get it done before summer. If we ever get one, that is.